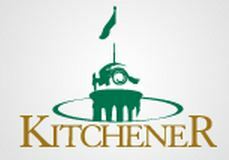 We sincerely appreciate the financial support of our corporate sponsors and the cities of Kitchener and Waterloo. We also thank those individuals who make donations in support of our orchestra. Membership fees and fund-raising activities undertaken by orchestra players are a significant source of our revenue. We also rely on income from the sale of tickets for individual concerts. Click on the CanadaHelps.org logo to make a donation to the orchestra. Tax receipts are issued once a year. Thank you for your support. The Kitchener-Waterloo Community Orchestra was inaugurated in 1979 as a summer repertory orchestra conducted by Erna Van Daele. The purpose of the orchestra was to provide an opportunity for amateur players in the community to sight-read a variety of orchestral music. An exciting summer of music led to high interest in continuing the orchestra on a permanent basis. By 1980 the Kitchener Waterloo Community Orchestra was launched, a constitution was written and a formal Board of Directors elected. 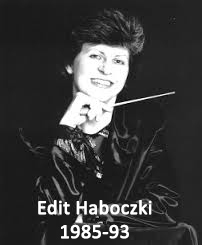 In 1985, our founding conductor, Erna Van Daele, resigned and Edit Haboczki, a graduate of the Franz Liszt Academy of Music in Budapest, Hungary, became our conductor for eight seasons. Erna returned for two years, and then in January 1995 was followed by Fabio Mastrangelo from Bari, Italy, who remained with the orchestra until June 1998. 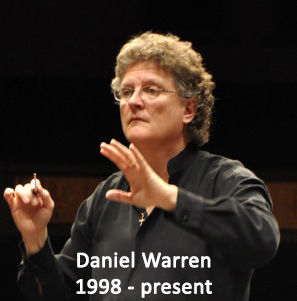 In September of 1998, Daniel Warren became our conductor. Daniel Warren is a trumpet player and was the Resident Conductor of the K-W Symphony. His easy-going personality and wonderful depth of musical knowledge make him an ideal leader for our orchestra. Daniel has a special talent for bringing out the best in players whose abilities range from casual amateur to near professional level. He is in constant demand for his conducting talent. Visit his website to learn more about his interests and professional activities.